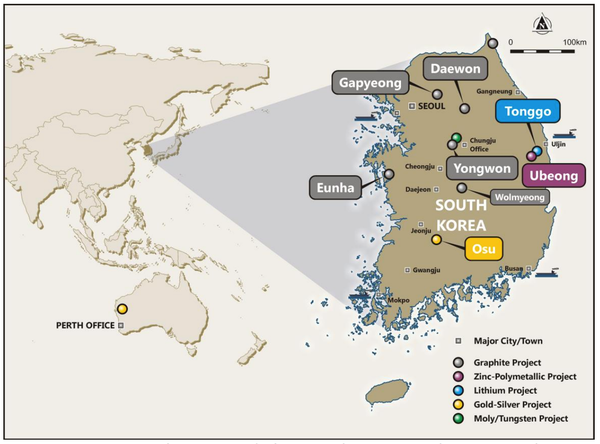 Peninsula Mines Ltd (ASX:PSM) today announced that it has been granted a key exploration and mining tenement over the high-grade (>16% graphite) Gapyeong graphitic unit at the Gapyeong Graphite Project in South Korea. 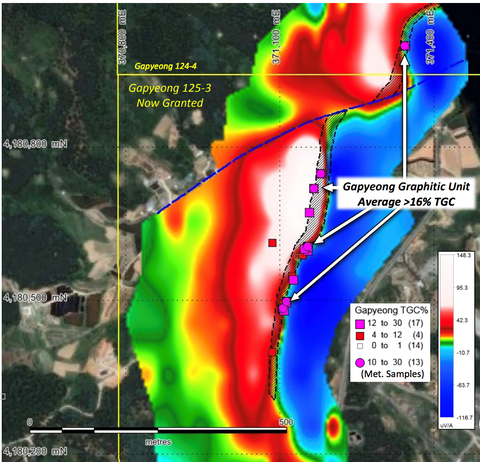 PSM has been granted the key tenement — Gapyeong 125-3, that covers the bulk of the known strike length of the high-grade graphitic unit at the Gapyeong Graphite Project, located 50km east of Seoul. 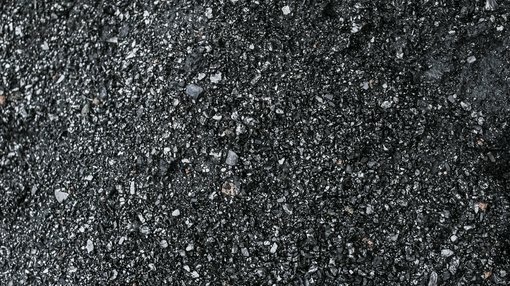 The company is now planning channel sampling and initial drilling to test for continuity of the high-grade graphite surface results, averaging more than 16% total graphitic carbon (TGC), that is already indicated by highly conductive electromagnetic survey results over a one kilometre strike length. Drilling is set to commence — subject to final access agreements with local landholders — following the initial drilling programme at the Eunha Graphite Project, which is in progress. Previous metallurgical concentrate results of 95.4% TGC have confirmed that a saleable flake-graphite concentrate (>95% TGC, <150m current pricing USD 800/tD6 ) can be produced from the Gapyeong graphitic unit. A >5kg composite sample is now being generated for down-stream spherical graphite testing in Germany, with the objective of generating a >99.95% purity, value-added, spherical graphite product (current pricing USD 3,300/tD6 ) for Lithium-Ion battery anode manufacturers in South Korea.